Extensive API is available with which you can programmatically write and read files, with formatting info, images comments, etc. 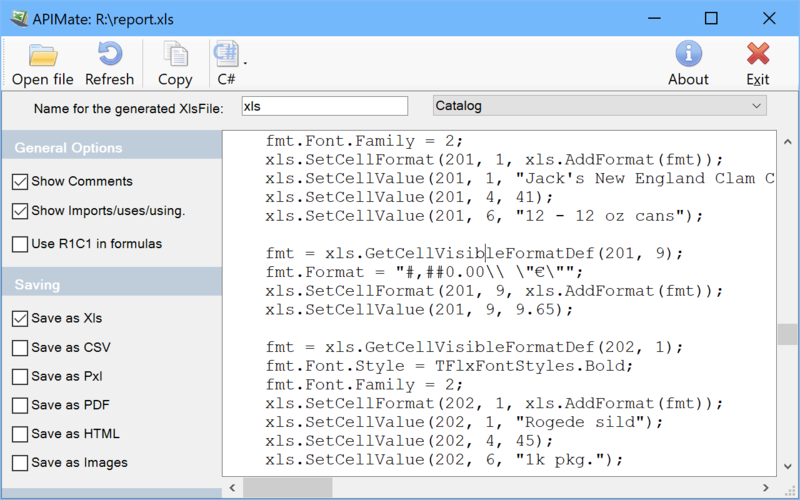 When creating files with code, FlexCel includes a tool for converting Excel files to code. 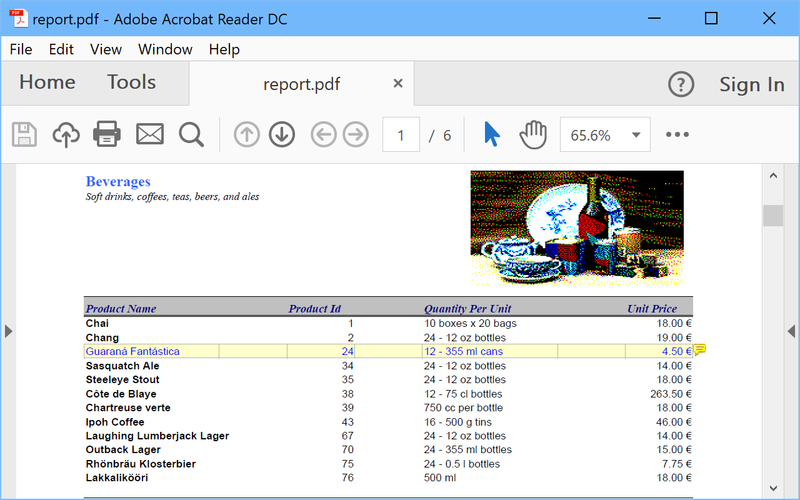 Flexcel is an essential tool for working with Excel files in .NET. 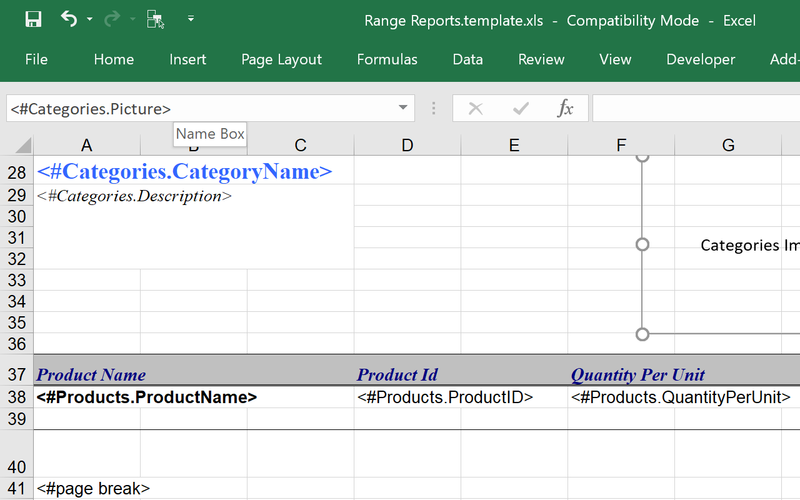 It is far less expensive to to develop Excel functionality in .NET with Flexcel than without it. I save several thousand dollars per year just in development, not including additional costs related to maintaining Office applications. TMS Flexcel Studio saves me enough money each year to buy many licenses for Office. I'm also very happy with the licensing and how much value TMS Software provides with my purchase. Even paid upgrades are a much better value than upgrades from other vendors. 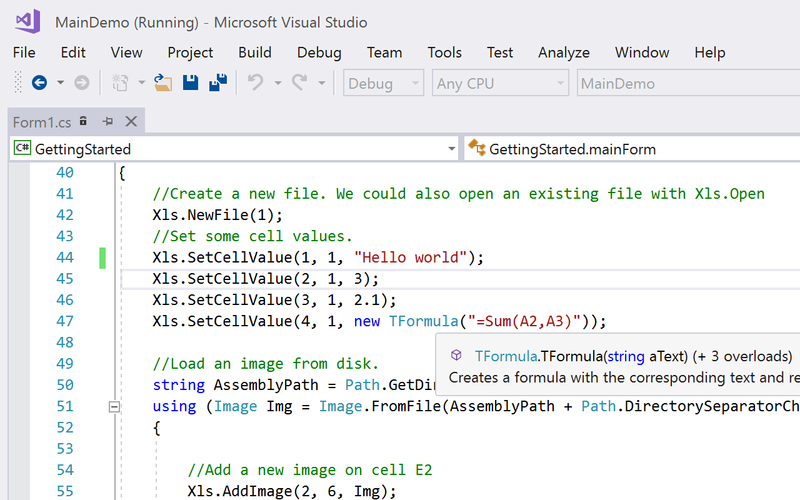 I enthusiastically endorse TMS Software and Flexcel Studio for .NET. It is easy to use and powerful. 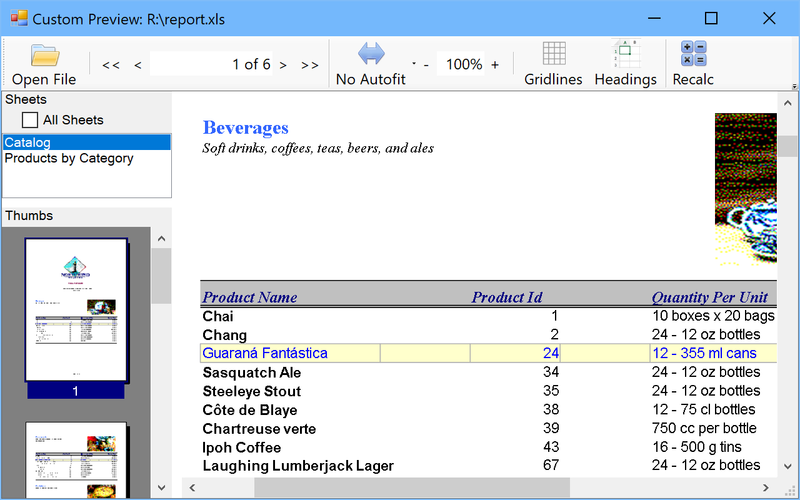 I use it in cosole vb.net apps focused on reporting and calculation and it is fast in generating files. The feature of reporting by tags or "direct reporting" once known is a fundamental shortcut in report creation. 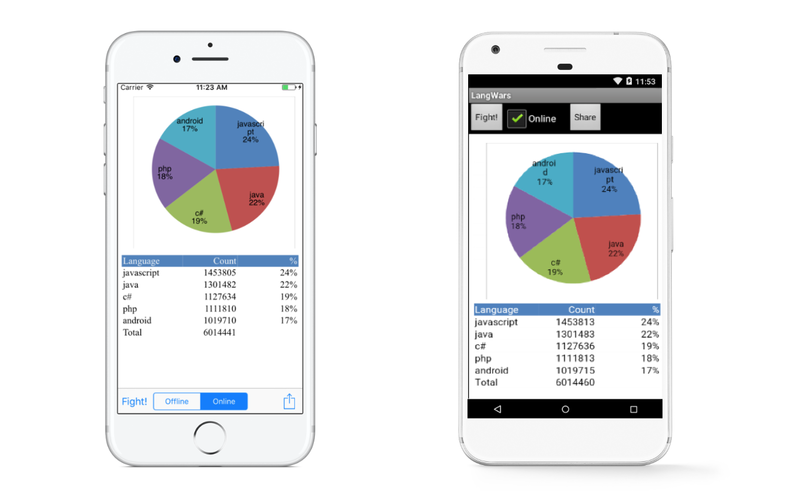 Not only it is fast, but also powerful and I can say this because I use it integrated with sql server: download data from sql, apply complex calculation by an excel template hand-defined in Excel, convert to values and upload back to sql server. Size of this is about 60K rows X 70 columns X 6 (separate files). It works, obviously it consumes almost all the available 4 gb ram but it works even in 32bit mode. When I use Flexcel I feel myself as I was driving a powerful sport car. Thank you very much. I've worked with Flexcel for the last two years and this is one of the greatest products I have ever had the pleasure of working with. It is FAST and it just plain works! They are super responsive in answering questions and they've even added features I've requested. If you need to generate reports, don't shell out money for Crystal (or whatever name it goes by this month) - Buy this and you will NOT be sorry. After looking carefully at all the Competitor products in detail and having worked with one competitor product extensively we decided to move to FlexCel - this was no small decision but we have been rewarded with the most powerful and complete implementation. .Net managed code and a huge set of features. With FlexCel we really push the boundaries and have found it is really up to the task. Most importantly when we needed new business critical functionality the guys on support have really responded and given us and the product features when they were needed. I would strongly recommend FlexCel from both a technical and service response point of view. 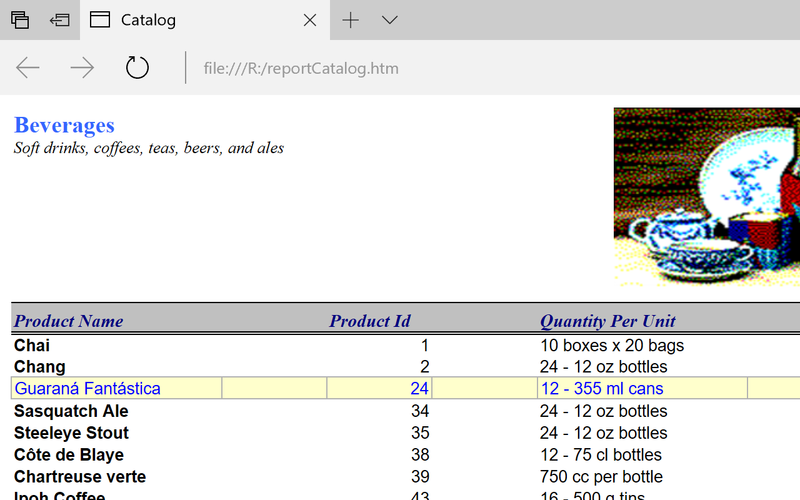 I literally stumbled across FlexCel Studio for .NET on the internet. Whenever I searched for similar software, I ran across others that sucked, and the costs for them are outrageous. You guys have one hell of a product. I have been using it for the last two days, and I am very impressed not only by what I can accomplish but also your excellent documentation and examples. 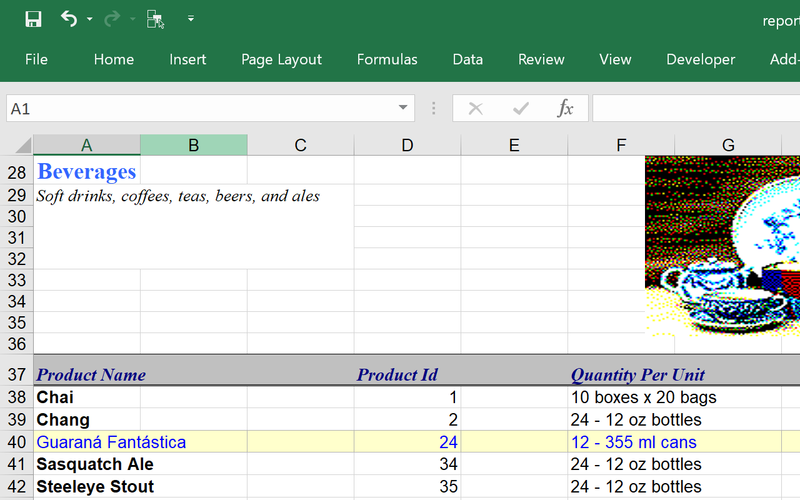 I am really impressed about your know-how around Excel's under the hood workings. I've been kicking the FlexCel API around a bit over the weekend and must say it is the best investment I made in a long time in both time and money! And the speed at which you guys respond is incredible !